Whether you are a home owner or a tenant you are generally responsible for day to day maintenance of your home to keep it in a good state of repair. 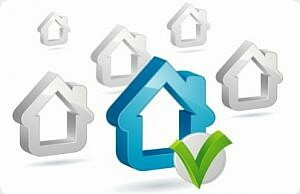 However, for rented accommodation, there are set standards which your landlord must make sure the property meets. Details of the standards you can expect (and links to other websites offering more information) are given in this section. In Cardiff the Council and Housing Associations have all set work programmes to make sure that their properties meet these standards by the end of 2012. If you are a Council or Housing Association tenant and have any questions about whether any further work is planned for your home contact your landlord. You must also check with them if you want to arrange any home improvements yourself. Privately rented accommodation should be let in good condition - landlords should make sure that their properties are well maintained and meet the standards set by law. All privately rented properties are covered by the Housing Health and Safety Rating System and the Council has the power to take action if health & safety hazards in the property are found to be unacceptable and need to be put right. As well as this, there are other standards that some types of property have to meet. Houses in Multiple Occupation which have 3 or more storeys, and have 5 or more people living in them have to be licensed with the Council and must meet the standards set within the licence. 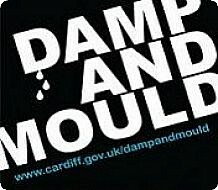 If your landlord is unwilling to deal with poor conditions in your property, or if you have any queries relating to housing standards in privately rented accommodation, contact Cardiff Council's Private Sector Housing Section on Tel : 029 2087 1762 or via privatesectorhousing@cardiff.gov.uk for help and advice. The Council has a number of schemes to improve neighbourhoods and make them better places to live. They mainly focus on improvements to public areas and facilities and may include replacing shop fronts, upgrading parking, pavements and play areas and improving the overall appearance of the area. Schemes include the Neighbourhood Improvement Programme, Neighbourhood Renewal Schemes, and Shopping Centre Regeneration. Estate regeneration schemes aim to improve Council housing estates by involving residents. Work might include fencing front gardens, removing gullies, improving parking and helping to tackle anti-social behaviour in the area. Group Repair Schemes (usually within identified Renewal Areas) upgrade individual streets and include essential repairs to individual properties. New windows and doors, roof repairs, rendering and new guttering and downpipes are examples of work which may be included.